Met up with highly regarded food reviewer Brisvegustation for a quick lunch before the end of year. 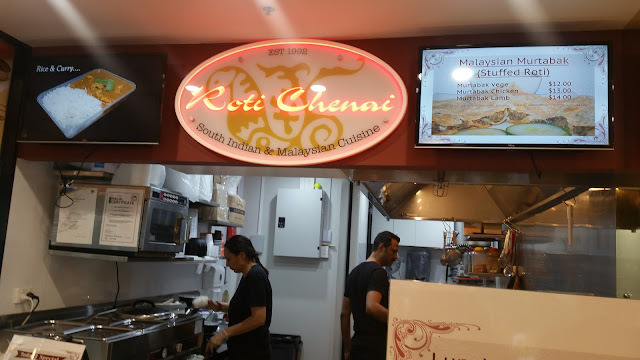 Being as methodical and organised as ever, he had compiled a list of places we ought to try, and we settled on Roti Chenai at Post Office Square which was highly recommended and merely a short walk from both of our offices. Arriving at 11.45am, we were able to find a table very easily. As expected in a food court type venue, the menu was quite short, but consisted of both Malaysian and South Indian Cuisine, both of which I was keen to try out. 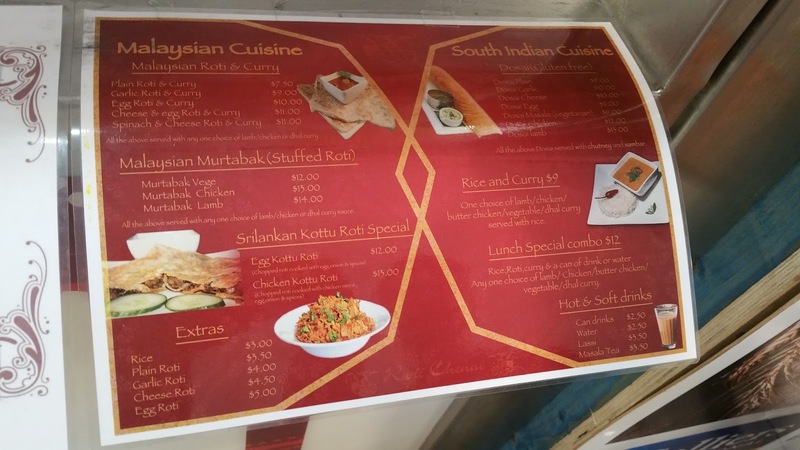 Our meals came out very quickly as we arrived before the crowd and were one of the first orders of the day. After getting our food, we saw a line build up very quickly. Brisvegustation ordered the Rose Lassi. I've never experienced this before, so I tried a sip. It was definitely not like any drink I have had before. 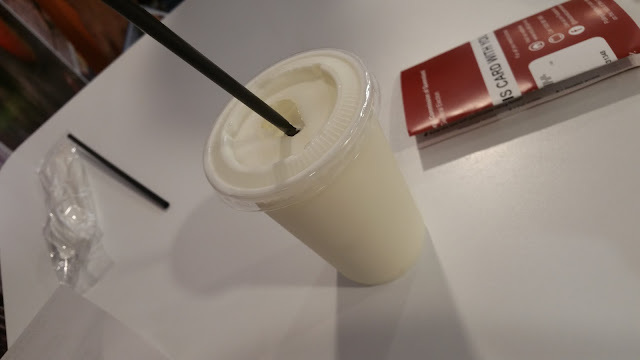 Having tried yogurt drinks at Taiwanese tea bars, this was a far richer, far creamier and more sour drink, almost like drinking a tub of yogurt straight out of the tub. I liked how it wasn't really sweet, but it didn't have too much rose flavour to it, definitely very interesting. 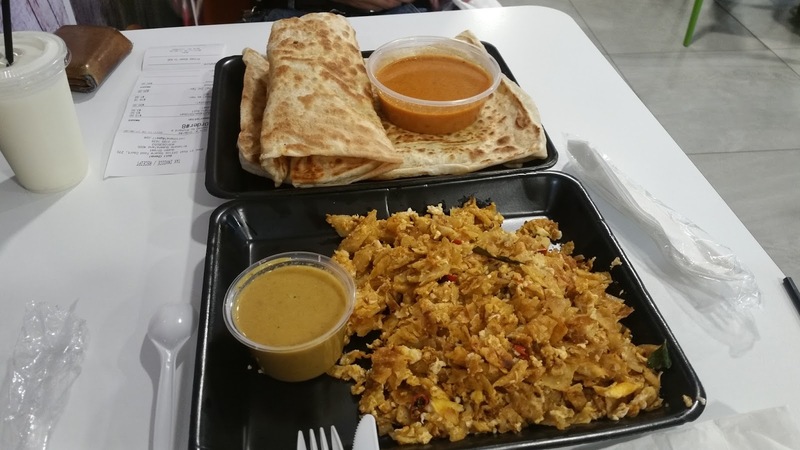 We shared our mains, and this was the Kottu Roti, a Sri Lankan speciality consisting of chopped roti with chicken mince, egg, onions and spices and was served with a small dish of green curry to be poured through. 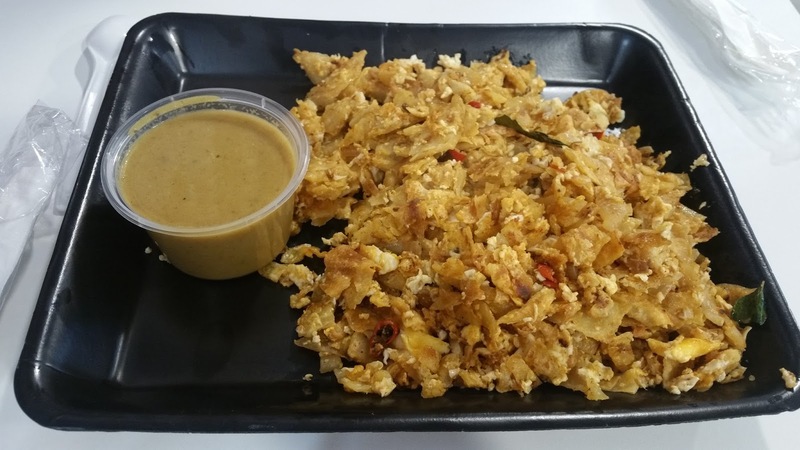 The look reminded me a little of stir fried ho fan or char kway teow, the taste was somewhat comparable, but the texture was firmly bread-like, meaning it was able to soak up quite a bit of green curry. I quite enjoyed the tastes of onion and small hints of chilli, giving it quite a bit of flavour hit. 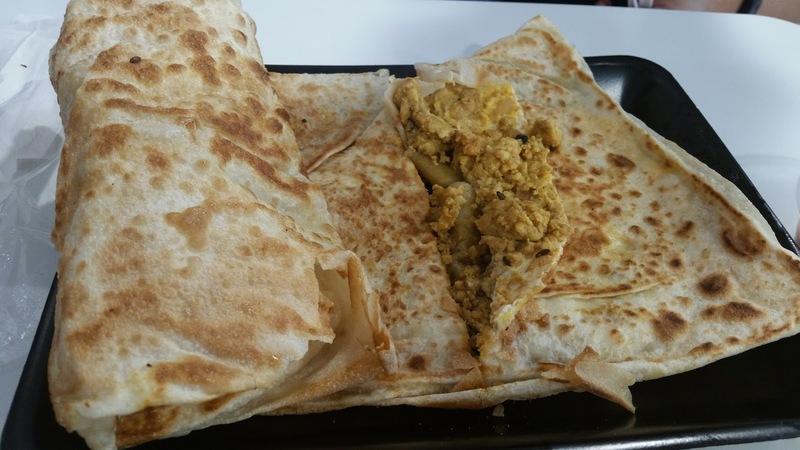 We also shared a plain roti and a chicken murtabak (Malaysian stuffed Roti). 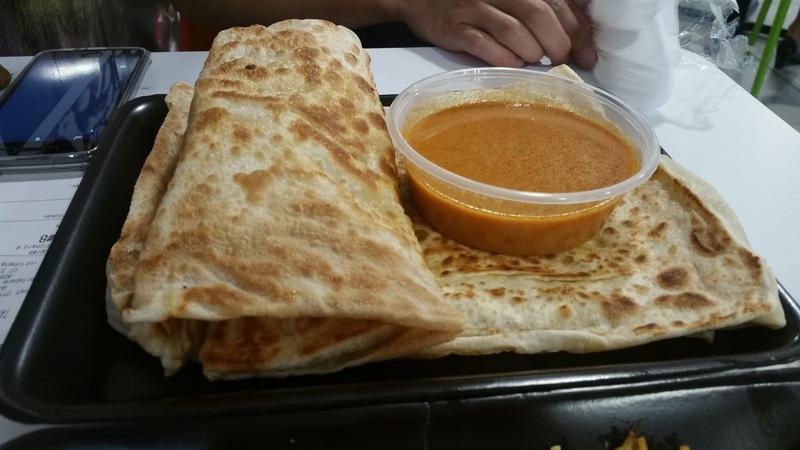 The roti was quite well layered and flakey on the inside, though not as fluffy as other ones I've tasted. Being freshly made they were also hot and crispy, making for a highly enjoyable dish. I found the chicken mince that was inside the roti to also be quite flavourful, with quite a few curry spices, without the heat of chilli.